What we were looking for in this challenge was TRANSFORMATION of a simple object that could be anything, to something completely different from what it originally was; not just up-cycling it. And there were many such entries that made us just sit back and wonder at the gorgeous creations. But there was one entry that stood out, and needless to say, won this challenge!!! 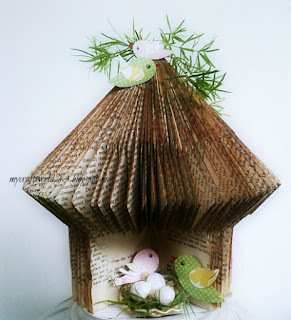 Brilliant execution... from a simple book to a bird house!! Who would've thought it?? Congratulations! 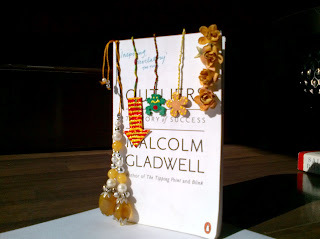 You have won yourself a gift voucher worth Rs.300 plus a chance to do a Guest Design post in our next months Challenge! This is sooo cool!! We have soo many bottles and this could be the perfect use for them!! 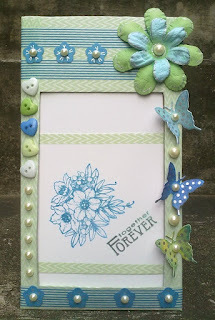 So easy, fun and different from the bookmarks we usually use! Congratulations!! Please email us at hello@lulupu.com to grab your top 3 Blinkie! A big thanks to everyone for participating. For us each entry is very special and totally exciting so keep them coming! We hope you hop along with us on this months - Challenge #5!! 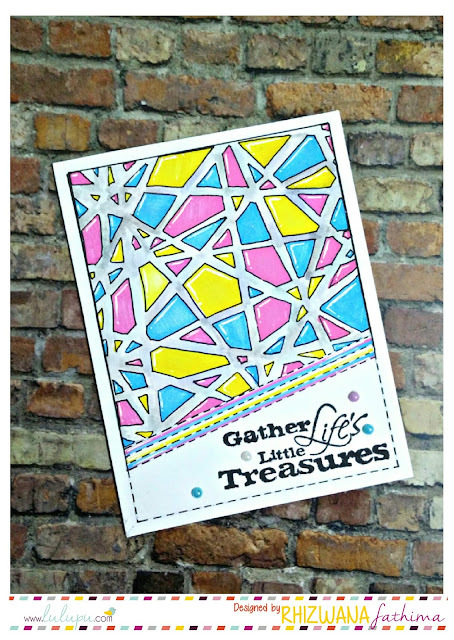 WOW all my top picks...what a co incidence..I couldnt participate last time even though the theme was a fav but sure loved seeing how the lulupu challenge inspired so many Indian crafters to make such gorgeous projects! Congrats to all winners. This was a real interesting challenge. All the entries were so good and so many innovative ideas!! Wow!!!! Am soo thrilled...Thank you Lulupu :) and Congrats Jaya, Vasundara and Sindhu :) So many great projects and soo many things to learn. Thanks Lulupu. YIPEEEE!!! thank you so much for choosing me as the winner !! I'm so so so excited! and Congrats Deepthi,Vasundhara and Sindhu!! Congrats all the winners !! Many Congrats all the winners ! !